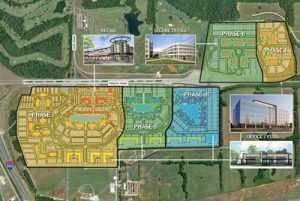 Johnson & Associates, Inc. was selected by Brasfield and Gorrie, construction manager for the Redstone Gateway project, to perform CE&I services for the public improvements of Phase 1 of this 400-acre signature commercial development on Redstone Arsenal. J&A provided full-time resident inspection for all site improvements including: roadways; sidewalks; drainage facilities; stormwater detention/retention basins; gravity sanitary sewers; water, gas, and electric utilities; and landscaping. To keep up with this fast paced project, and the multiple on-site contractors, J&A utilized iPads to review construction plans and specs, prepare daily and weekly inspection reports, document construction with photographs, and track project progress. J&A Provided Construction Administration services to the City of Huntsville for the extension of Taylor Road, approximately 2500 L.F. of five (5) land roadway with a multi-barreled concrete culvert. 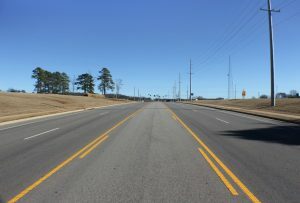 The City of Huntsville’s Public Works Department provided the construction services for the site grading, roadway sub grade, roadway stone base and storm drainage system under the direction of J&A. Upon completion of this work, plans were modified for bidding of the curb and paving contract which J&A also administered. This was a federally funded Transportation Enhancement project involving the widening of an existing two (2) lane paved roadway with associated striping and signage to accommodate bicycle lanes on both sides for a distance of approximately 2900 linear feet. The City’s contractor failed to prepare the required “AS-BUILT” drawings and other necessary documentation to allow the City to qualify for reimbursement of eligible project costs. J&A was retained to produce the required documents forensically and in a fashion satisfactory to ALDOT’s “closeout” requirements. 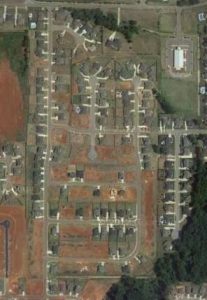 Hardiman Place Subdivision is a private residential development of a 35-acre tract subdivided into 99 residential lots. During the construction phase, the bank foreclosed on the property, and contracted with Johnson & Associates to provide engineering and construction administration services necessary to complete the project in a manner acceptable to the City of Madison. J&A provided Construction Administration services to the City of Huntsville for relocation and widening of an existing two-lane substandard roadway with a functionally obsolete bridge crossing a “Blueline” Stream. Approximately 3,100 linear feet of existing roadway was realigned and widened to five traffic lanes, to include bike lanes, and pedestrian sidewalks. Also included was a new 180-foot bridge to span the existing stream. The City of Huntsville Public Works Department constructed the site grading, roadway subgrade, roadway stone base and storm drainage system under the direction of J&A. The plans were modified for bidding of the curb and paving installation contract which was administered by the City of Huntsville Engineering Dept.